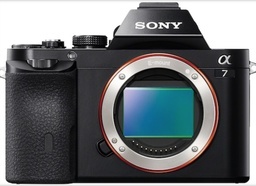 Sony a7 Full Frame Mirrorless - Could Olympus Be Far Behind? With the announcement of the Sony a7 full frame mirrorless camera, could an Olympus model be far behind? Here's my thinking. Olympus already uses sensors designed by Sony for the OM-D series. Plus, Sony actually has a sizable investment in the company. And Olympus has hinted that full frame is on their radar. The difficulty, of course, will be lenses. Sony will manage to get a few full frame lenses out the door in 2013, but their roadmap doesn't really fill out until 2014-15. Olympus would have some serious decisions to make concerning glass if they decided to go the full frame route. And finally, there's that large capital investment to launch such a product line. Sony has vast resources. Olympus, well, not so much.